Of course, this statement is based on my personal opinion of what magic would taste like. 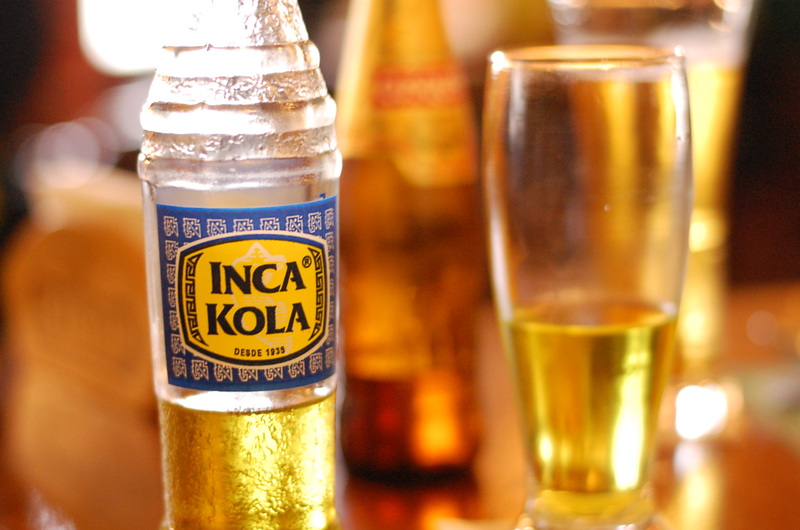 In this case you take bubblegum, add sugar, carbonation, and a food dye that makes it look like nuclear river water, and BAM… Inca Kola. Every adult who, like myself, was deprived of sugar-based cereals as a a child will surely rejoice upon first sipping this concoction. So to answer your question… the trip is going well so far! 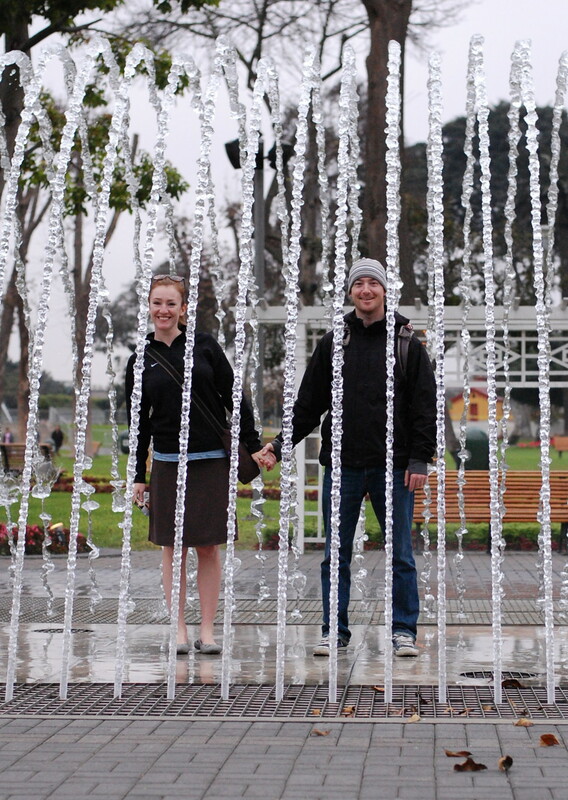 After a flawless full day of travel, Adam and I both arrived in Lima, Peru. (If I may take a quick moment to “brag” a bit, I booked my RT airfare with miles, for a total of $67.50. I’ll be proud of that for the rest of my life.) We spent night one at the Doubletree (also booked with points) as we left the airport around 1am. The next morning we met up with some friends of friends of friends, Kelly and Christian, who run a B&B in the San Miguel district. They are a fantastic couple (he is Peruvian, she is from CA) and their business was recently featured on an episode of House Hunters International! We have visited la playa to watch Christian surf, Central Lima’s Monastario de San Francisco where the bones of 25,000 people are displayed in the underground catacombs, and the Parque de la Reserva with 13 different fountains on display. This is all in addition to the amazing dinner that my fabulous coworkers treated us to at La Rosa Nautica. The restaurant is all over our Lonely Planet book, and it could not have been more delicious! Seabass is king in Peru. Tonight Kelly and Christian are treating us to our first true pisco experience. We’re starting our evening at 10pm and it may continue until 4 or 5am when things slow down here. I’m not sure that Adam and I can hang, but we sure will try! The Lima album has been started on the Photos page and I will continue to add as the fun progresses. Adios! True production girl that MAKES SH*T HAPPEN!! Sounds like your first stop was great! Did you tell Christian and Kelly about our snow cone business venture? Im thinking it makes perfect sense to locate on their B&B. Thoughts?